Alexander Public School enjoys a strong tradition of excellence in the City of Greater Sudbury. 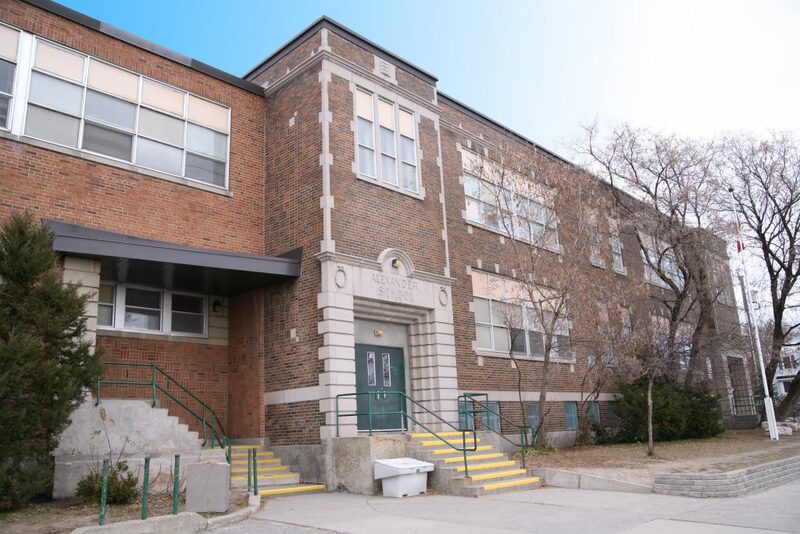 Alexander Public School is a World Class School that continues to value and promote excellence in all aspects of its elementary students’ experience, whether in the areas of academics, character education or active healthy living. The staff, parents and students at Alexander Public School uphold our mission to develop a healthy, well-rounded, bilingual individual who is prepared to face a changing world, will grow academically and socially, and contribute positively to the community. Alexander Public School seeks to foster strong links with the greater community. We are proud of our partnerships with organizations such as the Greater Sudbury Police Service and Our Children – Our Future that enable us to provide additional opportunities for our students through programs such as V.I.P. (Values, Influences and Peers), the Adopt-A-Block graffiti project and Roots of Empathy. A number of community organizations also use the facilities at Alexander Public School, making it a true community hub. Larch Street Daycare runs the “Alexander Kids Daycare” at the school. The Rainbow District School Board’s French and English language Consultants, Program Consultants, Media Personnel, Information Technology staff, Special Education staff (including Psychometrist, Psychologist, Speech and Language Pathologist and a Special Education Consultant) assist the staff at Alexander in providing the best education possible to all students. Alexander has an incredible array of programs and events designed to meet the diverse needs of the community that it serves. These programs (academics, social, sports) can be accessed on our website. Our active School Council supports education at Alexander Public School, with a focus on the following priorities: healthy schools, community building, re-greening and school yard improvement, communications, fundraising and special events. The school council is actively supporting the school yard revitalization project with a focus on re-greening and creating more natural play spaces in both the upper and the lower yards. They also actively support our technology goals (SMART Boards) along with our healthy and active living goals (numerous field trips/winter activities). Alexander Henry Skene has a long history of accomplishments. In 1910 he left his hometown in Scotland to come to Sudbury where he worked as general manager of the Wahnapitae Power Company and later, as district superintendent of the Ontario Hydro Electric Power Commission. During his many years in Sudbury, Mr. Skene also served as a member of the Sudbury Public School Board. Today, Alexander Public School is named after him in recognition of his service to local education. “A Tradition of Excellence” continues at Alexander Public School. Looking for child care at Alexander Public School?